Wicket Keepers need quality protection from fast-paced deliveries, comfort for the long days spent in the field and lightweight manoeuvrability to fly about behind the stumps. Slazenger`s keeping range embraces these modern day performance demands. The Pro provides club level protection for the aspiring Matt Prior`s. 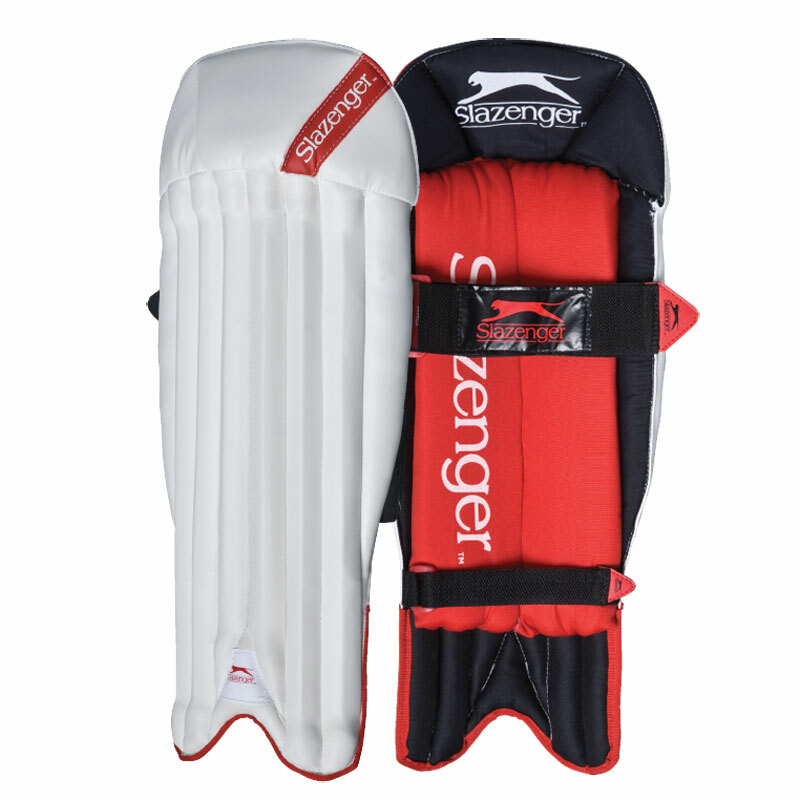 In a traditional cane construction the Slazenger Pro Wicket Keeping Legguards offers a good level of protection from padded bolsters and an angled stitched knee roll. This a highly durable pad for those keeping at a good level of the game.